First month’s rent up front plus a security deposit. A parking permit. Textbooks. Furnishing your new place. In the first few weeks of grad school you’re hit by one expense after another. On top of that, your department expects you to start orientation (followed by classes and research) five to six weeks before getting your first paycheck! How are you supposed to swing this? The best position to be in at the time you enter grad school is with a minimum of one or two thousand dollars in savings – about as much as you will be paid at the end of your first month. If you have that kind of padding, you’re going to get through that long period before your first paycheck just fine, especially if you add in some of the other strategies discussed in this post. 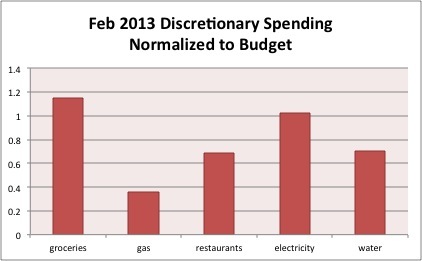 Just be conservative in your spending until you get your budget stabilized. However, for the rest of us who came straight out of undergrad with just some graduation money in our pockets or who were working low-paying jobs before starting grad school, that first month may be quite tight financially speaking! Use this post as a guide to getting through that first month without too many bumps and bruises. 1) Take care of housing, utilities, and food first. Your first priority needs to be food and a roof over your head. Depending on the housing climate in your city, rent, security deposits, and even broker’s fees may be your highest expense for the month and the highest they’ll be for your tenure in that home. Definitely ask for any discounts that may be available for students, but be sure you have the funds to pay for all these expenses. Thankfully you will often be billed for utilities only after you use them, so in your first month that won’t be as high an expense as will be typical. When you move in, buy a few staple groceries, but don’t go crazy stocking your pantry until you have been paid. (You probably won’t have time to cook elaborate meals at first, anyway.) The start of the school year provides free food opportunities galore, particularly for first-years. If you are really strapped for cash, don’t pass up any of these offers! There will be lots of social engagements as well with your new classmates, but keep your spending on restaurant food and drinks in check. 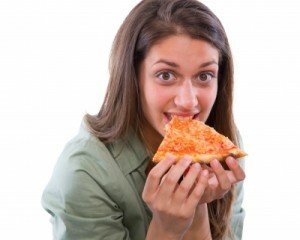 If you feel comfortable, you might even try going out without eating/drinking. 2) Delay buying/paying for everything possible. When you are desperate for that first paycheck, it doesn’t make sense to pay any one-time bills before their due dates. At my university, the Bursar bill, which includes parking permits and activity fees and such, isn’t due until the mid-fall, and it always takes nearly the full time for the departments to post the scholarships they are responsible for. Use any grace periods that might be extended to you. Even though it may seem like the high season for Craigslist sales, you should also delay buying furniture and other home equipment until you have a better idea of what you can afford. It won’t kill you to go without a dining room table or sleep on an air mattress for a month! You can take a bit of time to save up for the big-ticket items, but put off even buying the small stuff for your kitchen or bathroom until you have more cash on hand. 3) Sketch out a budget. It doesn’t have to be very precise, but a sketch of a budget will help you a lot through your first month because you’ll be able to anticipate bills and keep an eye on your checking account balance. If you have a lot of blanks in your sketched budget, try filling in values from your local living wage calculator until you have your own data. 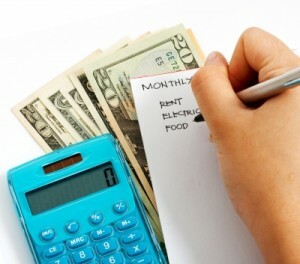 Keep in mind that it will take a few months for your expenses to stabilize so that you can finalize your budget. Track your spending (a program like Mint makes it a cinch) so you have some data to work with once you are ready to optimize your budget. What is your income going to be? Guess what? Your net monthly income is not what was stated in your offer letter! If you use your stipend for living expenses (i.e. non-qualified expenses), you will have to pay income tax on it. The best way to handle that situation is to set up tax withholding with your department’s payroll, even if you are on the non-compensatory payroll (receiving a 1099-MISC at tax time instead of a W-2). That way you will have an idea of how much your net pay will be (though you may not know exactly until your first paycheck comes) and you won’t have to worry about putting money aside for paying quarterly estimated taxes. You can also figure out if you will be paying social security payroll tax (you probably won’t) because that 8%-ish could really influence your discretionary spending. What are your fixed expenses? List out all your fixed monthly payments to take out of your net income – rent, savings, debt (consider deferring student loans if possible), insurance, giving, phone, and internet. Add ‘em up! These expenses comprise most of your base spending every month and are difficult to change, especially when you’ve just committed to a lease. There are certainly ways to reduce each of them but it won’t be as easy as simple belt-tightening. What are your variable and discretionary expenses? After you subtract your fixed payments from your net income, the remainder is what you can spend on all your discretionary and variable expenses, such as groceries and eating out, utilities, gas, entertainment, and travel. You can use previous budgets if you have them to get an idea of what you’ll be spending in these areas, but you’ll need to adjust for cost of living differences. 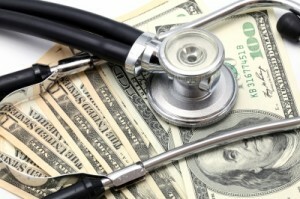 These are the areas you’ll want to minimize in that first month before you are paid. For example, this is the best time to check out the alternatives to commuting to work by car offered by your university and city so you can save on gas or even avoid owning a car. For example, my university gives out free bus passes for all the city’s bus lines and offers van rides home to students who live close by. 4) Watch out for credit cards. If you already have a credit card, it will be very tempting to just throw your living expenses onto it and not think about how much you spent until the bill is actually due in a month or two. While this may be necessary for buying food if you have absolutely no savings, I recommend that you restrain yourself from using credit. It will be very difficult to keep from getting a month behind or carrying a balance if you put more than a couple hundred dollars on credit. Keeping mind that you have no money so you shouldn’t be spending like you do! 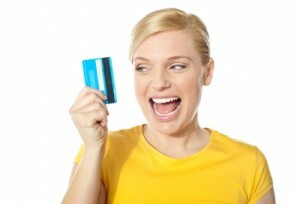 If you are being offered credit for the first time, don’t think of it as free money! If you choose to use credit cards, endeavor to treat it like a debit card by only charging purchases that you already have the cash to pay for. Your personal savings has likely taken a hit during this first month of grad school. Make refilling your savings a top priority in the months to come so you can easily weather emergencies and unexpected or irregular expenses. Even if you have substantial savings upon entering grad school, I hope you will employ a few of these tips to help keep your spending down until you have an accurate budget. For those whose savings disappeared into up-front housing expenses, take heart! You can get through the month relatively unscathed, and the time will fly by. You’ll be so busy with orientation, classes, getting your feet wet in lab, and making new friends that you won’t have time to overspend! What are your best tips for first-year students? How do you financially survive a move or time in between jobs? 37 Responses to "Financially Surviving Your First Month as a PhD Student"
Make friends with the department secretary and let her/him know you’re on the lookout for extra work opportunities. Sometimes there’s a late request for a grader or a student wanders in looking for a tutor, and they won’t know to recommend you if they don’t know you! Wow, great stuff here. I particularly like the part about delaying buying as much as you can. There’s no sense in spending a ton of money on stuff you definitely don’t NEED immediately and may not need at all, especially when you’re still trying to figure out how to handle all the things you actually do need. Mrs. Pop’s advice is great too. Any extra work you can pick up can only help. There is absolutely a chance of buying something you don’t need when you’re on a shopping binge at the start of a new life stage! That’s why Bed Bath and Beyond prints those “dorm room shopping lists.” Ha! I was paid in 3 lump sums each year. The only way we were able to handle the deposit + first month’s rent + everything else before getting our first paychecks was to borrow money from my mom (for one month). 2K isn’t enough for the first month in some cities! nicoleandmaggie recently posted..Should we switch to Amazon affiliates? Lump sum payments would be easier for irregular costs but more difficult for monthly budgeting. I would imagine it takes quite a bit of effort to calibrate your lifestyle properly being paid that way. Great tip on snagging free/cheap stuff during moving times! We used to live in the “MBA student apartment complex” and the trash area there had tons of nice stuff. It’s nice that you were able to give and get good deals when you were moving. Not hard to calibrate at all– we basically just couldn’t afford to spend any money, so we spent as little as possible. These days graduate stipends are a lot bigger. My best tip would be that, if you’re planning on having a roommate (which I highly recommend, not just for financial reasons, but because PhD programs can be so insular that it’s nice to have a roommate outside your program), try to find someone who already has a semi-furnished place. That can be courtesy of living with an older student at your university, someone who had to come early for a summer program, or some other arrangement. During the first two years of my PhD program, I lived with a law student who had come to school early for a summer semester program. Her parents had purchased a small townhouse near our university, so I had the advantage of extremely cheap rent (because the mortgage was so small) and I was only responsible for furnishing my bedroom. Roommates also make utilities much more affordable — we enjoyed DVR, high-speed internet, and not worrying too much about the heat/AC settings because we were splitting everything. I found my roommate through our university’s old housing site — not sure if it still exists, but I always recommend checking into those sorts of services to any prospective students. Getting a roommate who already has furniture is a great suggestion. (And I basically have no understanding of how a grad student could afford to NOT have a roommate!) When I started school I lived with another first year and we had next to no furniture, but thankfully my next roommate brought a bunch of her own. Once Kyle moves out I will be that roommate who has already provided all the common area furniture! Going into my 2nd year as a PhD student and love this! My big tip would be to find free printing and don’t buy books! I only needed one book last year, I got it from the school library and renewed it all semester. I’m going for a science PhD, so we are given a stipend and not allowed to work outside of the school, but most of our assignments are from journal articles so there is not much need for books. Avoiding buying books is a skill I hope everyone learned in college. 🙂 Another way is to borrow the textbook from a labmate who took the course recently. I have lent out one of the textbooks I bought at least 3 times to labmates and have borrowed a few myself. It’s really course-dependent whether a textbook is even recognized – I think almost all of my biology courses just went off of journal papers throughout the whole course. I had to buy a $200+ textbook for a class I took my very first semester so I wanted to give a nod to that expense (way more than my rental security deposit!). We all had to buy the text brand new to get access to the online system to submit homework. Basically we paid at least $100 extra so the prof could have some software automatically score the problem sets, grrrr. These are all good tips for you to have. Always good to live within your means no matter what even if you are not a student. Debt and the Girl recently posted..What Are We All Working For? I am a big fan of behaving financially in grad school like you would behave in the rest of your life. This is pretty topical to me, as I’ve just moved house, which involves lots of unknown expenses (though at least I’m still getting paid!). Glad to know you’re still rocking the free and used furniture even while gainfully employed! Weird, I don’t remember when I signed up, and if I had that issue. I think different moderators have different ‘rules’ and some can be quite strict! I really like this list. The tip about trying not to buy drinks or eat out, if you are comfortable with it, is key. The beginning of the semester has a lot of activities centered around happy hours, and the costs can really add up. It’s tough to simply miss out on a chance to spend time with your colleagues, especially since early in the year is one of the few times people are buried under work. Suggesting pot lucks or house parties instead is another way to skin that cat though. At my university a lot of the free social events included alcohol – I actually don’t remember going to any bars during those first few weeks. And I did host a potluck within the first month of school – love it! I remember my first full time semester at grad school (I did it only on loans, stupidly) and how ill prepared I was to wait for the financial aid to come in, which didn’t hit until October. I was a stressy bessy and had to end up getting fronted $1000 from my school’s financial aid office (I was lucky I could do that). Otherwise, I guess I would’ve had to borrow money from my parents or brother because I was BROKE. I also recommend waiting a few months to buy stuff just to see if there are desperate folks who need to sell to get some cash. Although it’s sad to see people encounter those situations, you do see college students mid-semester selling stuff because they spent too much money in the beginning of the semester. Plus, if you can TRULY wait, I recommend waiting until the end of the school year to pick up some sweet gear. As an RA, I saw so much great stuff being thrown out in May and it’s tragic! We had to get out the room stuff in such a quick time frame that we couldn’t even give it away fast enough. Wow, I didn’t realize that financial aid didn’t come in until mid-semester! You definitely would have had to come in with savings if you were going to avoid borrowing. I agree that waiting until the end of the year would be best for getting good deals! Same thing with faculty paychecks… October is a good month. That’s helpful that you don’t have to actually pay for your parking permit until mid-fall. At my college, you had to pay when you got it, and they were first come first serve and DID run out, so there was always a mad rush when they first became available in August. There is a similar rush at my current university to sign up for a parking permit, but it just gets billed to our Bursar accounts, which aren’t due until a month or two after the semester starts. I’m not sure if it’s the same for the undergrads. Many first-years aren’t warned that they have to sign up for parking on the first day it comes available and the ones that don’t are set about a year behind in the wait lists for the better lots. That’s what happened to Kyle when he first got here so he warned me the following year to sign up right away! I ain’t got no good brains for no PHD. But I’m glad there are so many that can benefit from this guidance! You’d be surprised! Just last night I found out that two of my friends who are doing science PhDs were excluded from the fast track math classes when they were in elementary school. I’ve also met PhD students who started out in community college with no idea that they would eventually be in science. PhDs are earned more through perseverance than brilliance. You are so right about PhDs being about perseverance and “stick-to-it-ness” rather than overall genius. It’s all about plugging along. Alicia recently posted..being a wedding guest is expensive. When I was in graduate school, I employed many of these tactics and I ended up just fine. Very important to watch out for credit cards. I only carried a balance one time, and that was for one month after graduation. Also, good comment response above! I like the idea that perseverance can matter more than brilliance. Often, it really is true in different aspects of academia and professional life. Glad to hear these strategies worked for you – they did for me, too! Especially putting off buying things. I hate the idea of carrying a credit card balance, but it’s not the worst worst thing if you’re in a time of transition and know that paycheck is coming.